As of April, farmers in the central Mexican state of Guanajuato are now receiving localized agriculture updates and decision-making advice on their mobile telephones thanks to a service launched by MasAgro Móvil. This new development in MasAgro Móvil´s service is part of Guanajuato’s plan to modernize agriculture with CIMMYT-developed technologies. MasAgro Móvil, a project of the Sustainable Modernization of Traditional Agriculture (MasAgro) program, along with other MasAgro tools, received an investment of 10.4 million pesos (US$ 804,000) thanks to the support of Miguel Márquez Márquez, governor of Guanajuato, who seeks to promote sustainable agriculture in his state. Javier Usabiaga Arroyo, Guanajuato’s secretary of agricultural development, announced on 31 May that approximately 755,000 farmers in Guanajuato will eventually have access to vital information through e-MasAgro, a virtual ecosystem that connects various agriculture-related information tools on one site, including MasAgro Móvil. 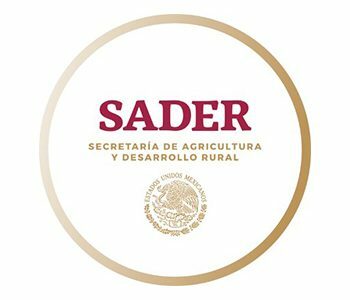 Farmers “will receive technical information, recommendations, response to agricultural plagues and diseases and anything else they might need to improve their production,” he told the El Heraldo newspaper. The regionalized service offered by MasAgro Móvil in Guanajuato has the potential to be a game-changer for smallholder and medium-scale farmers. After registering for the service, farmers receive short, simple, timely and free agricultural information on the most innovative and profitable conservation agriculture practices. Each message is compatible with the region´s agricultural cycle and provides information that is difficult for an average farmer to find. In the past few months, MasAgro Móvil has sent various messages specific to Guanajuato, focusing on fertilization and monitoring for diseases. It also began sending weekly weather forecasts, regionalized news and invitations to local events. In the future, the service will add price alerts, crop health advice and more market-segmented information. The developers are also experimenting with messages that interact with the users, help retrieve user information and facilitate feedback. Abraham Menaldo, a consultant for MasAgro Móvil, said the feedback has been positive so far and farmers are eager to participate and interact. MasAgro Móvil´s goal is to expand this model to the rest of the country, which would replace the current service that sends information to each of MasAgro’s innovation centers, known as hubs. Project leaders are developing collaborations to create parallel services in the states of Tlaxcala and Hidalgo. A communications campaign planned for autumn 2014 will encourage more farmers to use the system. Extension agents will identify places where farmers congregate, and visit in person to help them register on-site. The campaign will include a study of the target group’s perceptions of MasAgro, their livelihood and the future of farming. MasAgro Móvil´s website offers detailed information about services, future projects, program activities and CIMMYT’s partner-led mobile development projects around the world. The site will eventually offer an online registration service to minimize some of the technological problems farmers have encountered, such as autocorrect mistakenly changing the spelling of a key word. MasAgro Móvil was recognized by the Inter-American Development Bank as an ideal tool to integrate farmers into the agricultural value chain in its report “The Next Global Breadbasket: How Latin America Can Feed the World: A Call to Action for Addressing Challenges & Developing Solutions”.